Obituary for Stanley "Cub" Robinson, Sr. | Jones Funeral Home, Inc.
Stanley "Cub" Robinson, Sr., 91, a native of Terrebonne Parish and a resident of Houma, LA, passed away peacefully at 11:23 p.m. on Thursday, April 4, 2019. Visitation will be from 9:00 a.m. until funeral time at 12:00 p.m. on Saturday, April 13, 2019 at Mt. Pilgrim Baptist Church, 4928 N Bayou Black Drive in Gibson with burial to follow in the church cemetery. 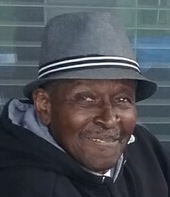 He is survived by his sons, Stanley, Sr. (Edna), Bernie, Sr. (Gale), Dennis (Nancy), Rodney (Donna Smith) and Anthony Robinson, Shawn and Nathaniel Patterson; daughters, Rosalie Johnson, Barbara (John) Taylor, Stephanie (Rev. Michael) Royster and Sharonne (Lannaman) Hill; twenty-seven grandchildren thirty-six great grandchildren; brothers, Willie Robinson, Sr. (Mary) and Charles Robinson, Sr. (Il-nie); and sister, Shirley Matthews. He was preceded in death by his wife, Beatrice Brown Robinson; parents, Nathaniel and Ellen Harris Robinson; brothers, Charles and Curtis Robinson; sisters, Luberta R. Nash and Joyce R. Bradley; and son-in-law, Willie Johnson.